← Go local or Go Online. I am a person who likes lists and being on time. I like asking questions and getting things done. I like efficiency and feeling effective. I like goals and solving problems. I like the feeling of crossing a finish line and understanding what got me there. So what happens when someone like me, lands in Mexico City. Both the lifestyle and business culture contrasts everything that I know regarding how to get things done. The streets are chaotic, the traffic is exhausting, meetings don’t start or finish on time, agendas are never adhered too and decisions are made in the last 5 minutes of a four hour meeting. But somehow it all works. The events happen on the day they are planned, the strategies are rolled out successfully, and the people you are counting on do turn up. And in a chaotic display of adhesiveness they all have the desired impact. 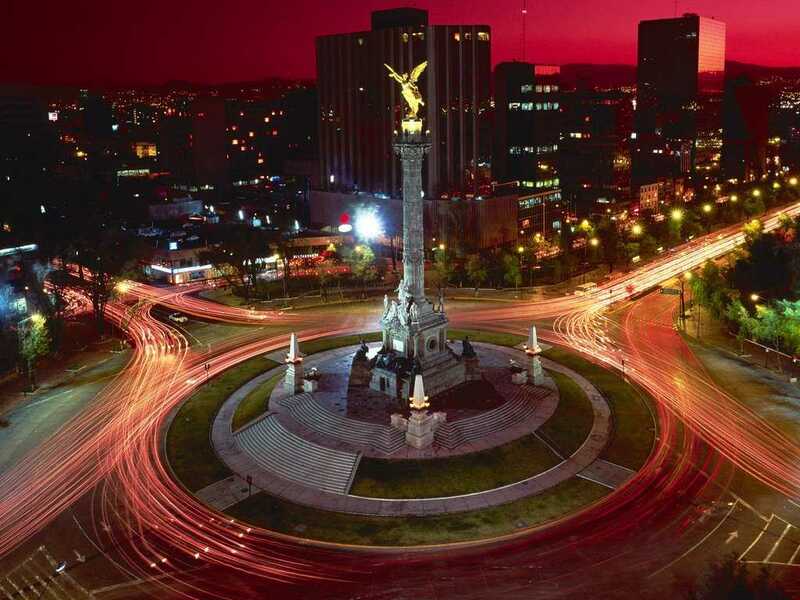 Night time traffic around El Angel de la Independencia, Mexico City. In this new culture I am adapting. I can not push my previous expectations and understanding of business etiquette, agendas, and timelines onto this new environment. I still ask questions, I still turn up on time (and regularly wait half an hour for others) and I still write lists. But I am trying to change my rhythm to match the beat of Mexico. I am trying to embrace the chaos. And what I am realising is that when you embrace the chaos there is no finish line. Just like the new 2km running loop that I am discovering. I always end up back where I started but I have changed. Everytime I go around I see something new and appreciate something that I missed before. Whether it be someone playing music, a woman weaving bags, a man walking his dog. As I run my mind also ticks. I do come up with new ideas and ways to tackle problems, remember peoples names, and practise my Spanish vocabulary. But I am realising that in this less structured and more chaotic environment there is no real end point and even if there was, I am not quite sure what it would be. Things are not linear with a start and a finish line. When you embrace the chaos you learn. And although you don’t move forward in a predetermined structured way, you have achieved something. You have taken that learning, adapted, stepped sideways and moved towards a goal that is continually growing, strengthening and having more purpose. Just like how on day one I was too scared to drive out into the mayhem of Mexico City traffic and now I thrive in it. Something about the freedom of driving without lanes or an indicator and being swept into a responsive network of exhaust is both exciting and a challenge. I like that. I guess that works with my embracing the chaos theory… learn and adapt from those around you but continue on your own journey. Just like a goal, effectiveness is a fluid term that takes on meaning from the environment it is applied to. In a new environment I need to let go of both my previous definition of being effective and approach to getting things done. I need to breathe with the network that is Mexico and avoid creating a finish line for myself or those around me.